Madden NFL 19 is an American football sports video game based on the National Football League, developed and published by EA Sports. 1: Familiarity: if you had Madden 18, you should be familiar with the setup of everything. They did make a change however to the home screen, which I really like. 2: Clean: As mentioned in the first Pro, they changed up the home screen which really cleaned up the user interface. To me, it makes it easier to navigate to the different areas of the game. 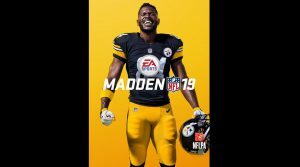 3: Chemistry: They added chemistry to the game, so like a real NFL, it adds a “bonus” to same real team players, such as Balanced Defense, Power Run and many more items for both Offense and Defense. 4: Special Players: I do love having some HoF players on my team as well as some outstanding rookies that were drafted this past year. 1: Store: In order to get some nice packs to open, you’re going to have to spend real money, and not just in-game coins. This leaves a bit of a bitter taste in my mouth and scratching my head trying to figure out how to compete. I do understand though that a company is in business to make money. 2: Squad: I really wish that you could squad up with randoms to play in the MUT (Madden Ultimate Team) Squad play. Since I don’t have many friends that have Madden 19, I’m stuck with a part of the game I can’t play. 3: Player Upgrades: I really just wish they would make it easier to upgrade players. 4: Longshot story: So far I’m 70% complete with the Longshot story and to say it is a disappointment, would be an understatement. At least in Madden 18, you could make choices along the way. Two thumbs down for the continuation of this story.